The sun’s shining, the sea’s sparkling and it feels like summer has arrived in Dunoon! Make the most of it and enjoy a drink or a bite to eat in the sunshine. Whether you fancy a quick snack, a leisurely meal or just a refreshing pint, here at three great places to dine outdoors in Dunoon. 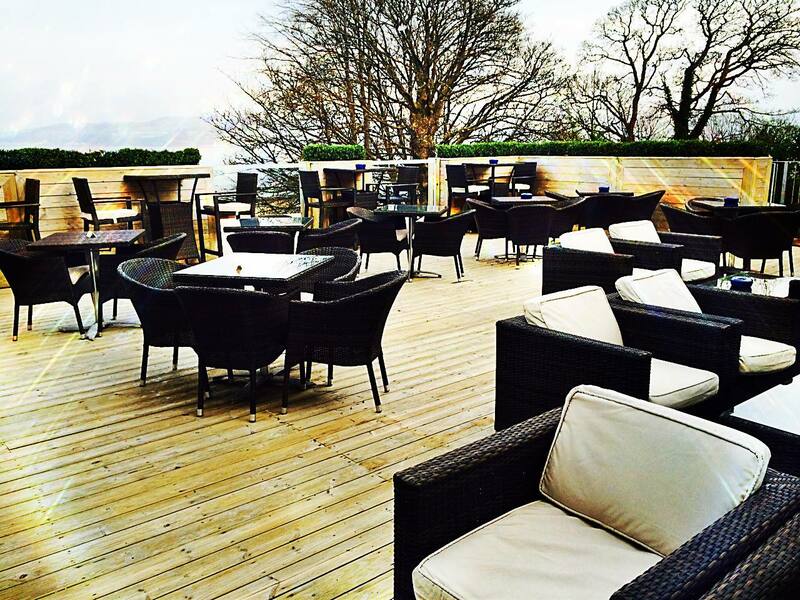 The Braes is a cracking restaurant and bar in Dunoon. Gourmet burgers, homemade pizzas and classic dishes all showcase the best Argyll produce, including venison from the hills and Loch Fyne scallops. Whatever your favourite tipple is, you’ll have the choice of plenty from the bar. There’s a fantastic cocktail list (‘Yellow Sapphire’ made with Bombay Sapphire, limoncello, lemon soda and soda sounds like a good option for a hot day!) as well as a selection of real ales and whiskies. Head upstairs to the outdoor terrace. Sit back, soak up the sunshine and enjoy the breath-taking views across the Clyde. The Argyll Hotel sits at the heart of Dunoon and is a great place to enjoy a bar meal and a drink or two. You’ll find a warm, welcoming atmosphere and traditional Scottish food on the menu featuring lots of local produce. What’s more, there’s a fantastic outdoor balcony area where you can pull up a seat, look out over the Clyde and watch the world go by below you. Livingstones World Food Bistro is one of Dunoon’s hidden gems. The chef adds an eclectic twist to world flavours using the finest quality ingredients that Scotland has to offer. Head through to the back and you’ll discover the most delightful courtyard and garden, where you can while away a few hours over a delicious meal.